PanLex, the newest project under the umbrella of The Long Now Foundation, has an ambitious plan: to create a database of all the words of all of the world’s languages. The plan is not merely to collect and store them, but to link them together so that any word in any language can be translated into a word with the same sense in any other language. 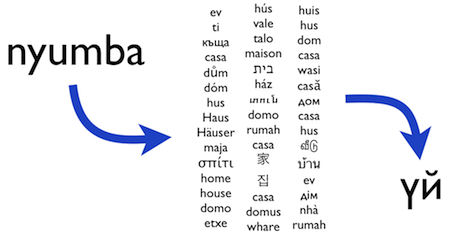 Think of it as a multilingual translating dictionary on steroids.